Looking for an interesting and affordable 4k action cameras with an integrated gimbal, but are not sure which one to bet your money on, then hopefully this article will help you make an informed decision. With so many brands available in the market, choosing the correct brand can be quite difficult. Each and every brand has its own positives and negatives, but as an end user, getting to know these features before making an investment will be a great help. Choice of any brand will depend a lot on your requirements too, so if you know your requirements from the product, then the choice becomes easier. The two most commonly sought after brands in this segment are the REMOVU K1 and the Osmo Plus, both are under the radar products that has caught the attention of lot of customers. Let us go into detail by comparing both the two gimbals and understand the positive and negative features of these two. The REMOVU K1 is a self-stabilizing camera with an integrated 3-axis gimbal and 4k recording feature. It is lighter, weighing only 340g making it easier to carry around with a lot of ease and has most of the features found in its competitors. It comes with its own 1.5” LCD screen, which makes it easier to preview the video and photo shots. It makes it convenient to operate the camera. You will not need to attach an external device to the gimbal like a smart phone or tablet display. As for the shooting specifications, the REMOVU K1 uses a 1/ 2.3” CMOS 12 MP (SonyIMX377) sensor that is able to shoot videos at resolutions: 4K(3840 x 2160) @ 30fps, 2.7k (2704 x 1520) @ 30fps, FHD (1920 x 1080) @ 30/60/120fps and HD (1280 x 720) @ 30/60/120/240fps. The REMOVU K1 captures videos in slow motion in Full HD at 120fps. One of the most useful features of the K1 is how it uses the 4 way joystick to adjust the direction of the camera where you want to and the custom designed F2.8 wide angle lens helps ensure everything you want is captured accurately. To capture these images, the K1 comes in four modes; Follow, Pan, Motion time-lapse and Selfie mode. The K1 comes with an integrated microphone and a 3.5mm jack to connect to an external microphone. The removable battery allows you to shoot continuously for 4 hours (though not in 4k) and supports SD cards up to 128GB to store huge quantity of photo and videos. The K1 also comes with an app for iOS and Android allowing you to control the camera remotely. Though the accessory kit is not standard with the K1, you may have to shell out extra for these. The Dji Osmo plus is designed to shoot steady images without having to sacrifice portability. It is the first hand held gimbal and a camera combo that includes the optical zoom. You can shoot videos without any shakes and without a tripod. The 4k video and 3x optical zoom means high quality videos. Since there is no screen in the Dji Osmo Plus, adjusting all the controls on the Dji Osmo Plus has to be dependent on a smart phone app called the Dji Go. You have to mount a smart phone on the side of the gimbal to physically control the app and the gimbal controls. 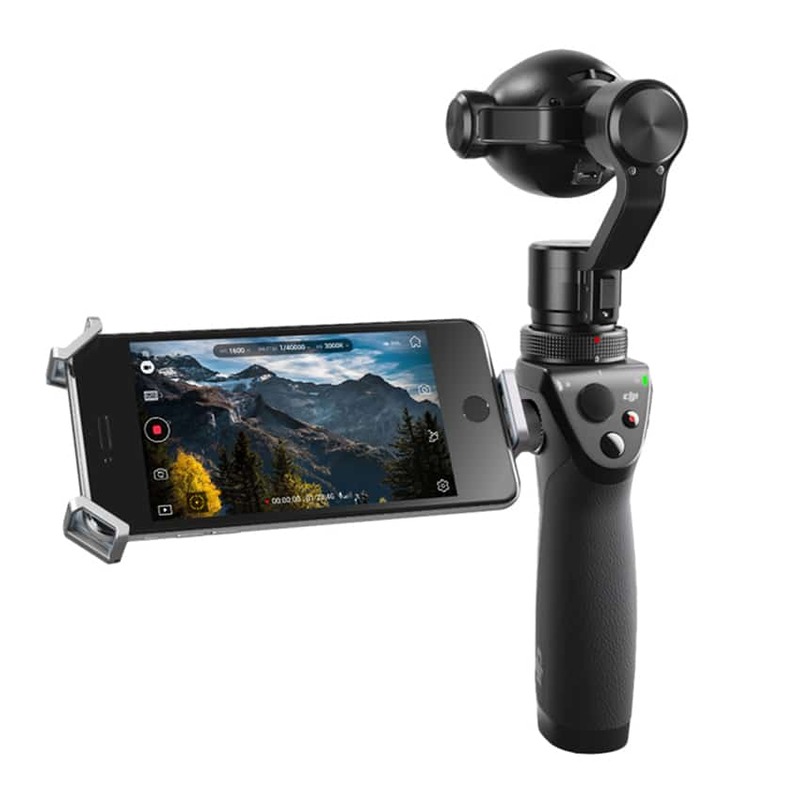 The built-in controls include a trigger to activate the gimbal and counteract any motion to keep the footage steady. There is a joystick that enables you to adjust the position of the camera. There is a record button, shutter release for stills, on-off switch and two locks to keep the gimbal in place for storage. There are a handful of physical controls, but adjusting the gimbal settings is done entirely in-app. There is a good mix of physical as well as smart phone controls, making it fairly easy to operate. The Dji Osmo Plus is light-weight and the grip is quite comfortable. The footage is quite smooth without a tripod. The joystick to control the orientation of the camera is quite fast. The Dji Osmo plus comes with a Zenmuse X3, optical zoom, which gives accurate colors and sharp images. The camera takes 4K video at 30fps, 1080p at 60fps, MP4 and MOV formats are also available. Even though the video quality is nice, the camera is not designed for long shoots and in 4k the video is cut into segments of 8 or 9 minutes long. The camera has an acting aperture where you can separate your subject from the foreground and background. In the HD format, the gimbal can record longer, since small files reach the 4GB limit later, but you can record for 20 minutes only. This is because the Dji Osmo plus is designed to live on a drone with a 20 minute battery life and certainly not to record a football match. The audio in this camera is muted and it doesn’t pick up sounds from a distant. The camera certainly has some advanced controls like manual exposure settings. 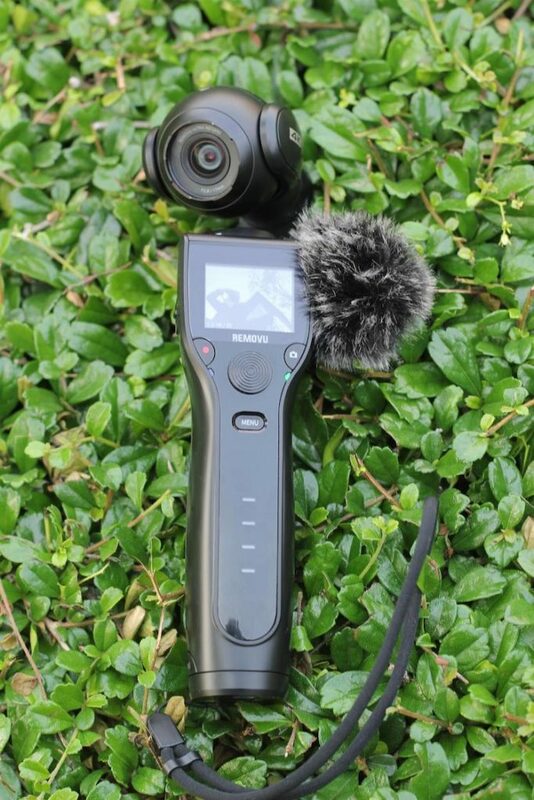 The Gimbal-camera duo can take panorama all the way to 360 degrees and the app shows the stitched panorama preview in app, but the photos are saved individually on the Micro SD card and require manual stitching from there. Time lapse option and selfie controls are also included. As for the specifications are concerned, the K1 has almost the same features of the Osmo Plus and even has high frame rate recording. The K1 shoots at 4K UHD at 30fps, but can shoot up to 120 fps in Full HD and 240fps in 720p. However, the Osmo tops out at 100 and 60fps respectively. Cinematographers who are looking to integrate the camera into a 24fps work flow will be disappointed with the K1. Osmo on the other hand offers 24fps recording across the board and offers wider cinema 4K frame of 4,096 x 2,160 pixels as an option. While a lot of cinematographers and advanced users still prefer to use the Dji Osmo Plus, but the average consumer would be satisfied with the REMOVU K1. Dji Osmo competitor, REMOVU K1 is cheaper and is currently being shown at the CES.